A mixed bag of great visuals, under-developed characters and Dan Gilroy’s ambition that needed more thought put into the execution. Paintings of an unknown artist Vetril Dease are retrieved by accident after their owner mysteriously dies. Soon, they become the hottest topic in the slimy world of contemporary art museums in Los Angeles. After the premiere of Dease’s works, people begin to go missing under very shady circumstances. Dan Gilroy, the director of “Velvet Buzzsaw”, stunned the audiences back in 2014, with “Nightcrawler”. Starring Jake Gyllenhaal and Rene Russo, the film invigilated the dark side of news reporters, in a powerful blend of thriller, drama and drops of horror. 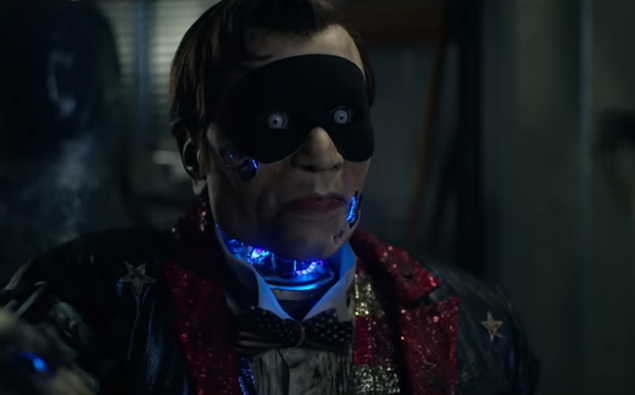 “Velvet Buzzsaw” is Gilroy’s third film (“Nightcrawler” was followed by the disappointing “Roman J. Israel, Esq.”) and, although it’s nowhere near a misfire, Gilroy’s unsure of what this film’s supposed to be. 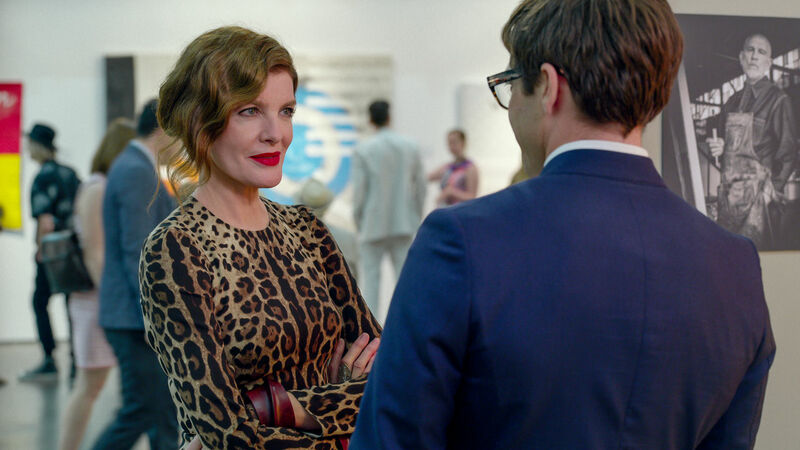 On one hand, “Velvet Buzzsaw” is a satirical look at the world of contemporary art – its turgid nature, the webs of white lies, the ubiquitous manipulation and dozens of zeros on bank accounts. Moreover, Gilroy is obviously fascinated by art in all its diverse forms. He skillfully draws from the Swedish “The Square”, but never makes a point of mocking the bohemian community. As much as he puts the over-complex, high-flown words in everyone’s mouths, Gilroy still pays tribute to the rebellious contemporary art. 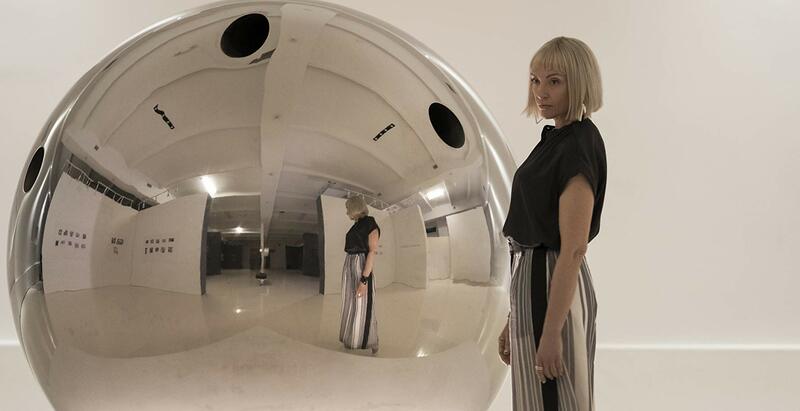 There is a lot to praise in “Velvet Buzzsaw” on the visual side – starting from eccentric costumes and to the minimalist interior designs. Gilroy’s vibrant taste for visuals isn’t, unfortunately, backed up by neither script nor the characters. One of the biggest issues here is that “Velvet Buzzsaw” expects its viewer to follow just too many people on the screen. A “kind of” protagonist here is Morf (Jake Gyllenhaal), a highly influential art critic, who closely works with a ferociously ambitious museum director Rhodora (Rene Russo). An intersection for these two is Rhodora’s assistant (and Morf’s lover), Josephina (Zawe Ashton). She is the one who discovers the paintings in the building she lives in. However, these three people are less than a half of characters that Gilroy’s craves to explore. There are people from Rhodora’s competition (Toni Collette and Tom Sturridge), artists (John Malkovich and Daveed Biggs) and even a handy plumber (Billy Magnussen), who obviously serves as cannon fodder. Still, Gilroy, as if obliged to give each of these well-known names their second of fame in “Velvet Buzzsaw”, attempts to combine all these people in one, coherent story. 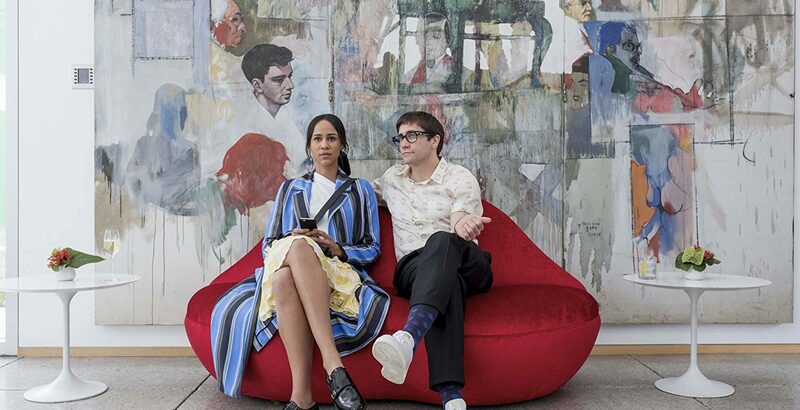 As a result, “Velvet Buzzsaw” gets messy. It gets even messier, when Gilroy’s torn apart between a satire and a horror he seems particularly drawn to. You see, the paintings of Dease (as a painter myself, I admit these aren’t works of sheer brilliance) channel a strange kind of evil spirit. And, as evil spirits usually do, they like to prey on humans. The idea of a demon eradicating the self-centered, puffy and money-driven community is a to-the-point parallel of modern consumerism. It serves as a kind of angel of retribution in the form of a sociopath artist and his haunted paintings, which comes to cleanse the rot. That’s the critique that Gilroy could have deepened much more profoundly. But frankly, Gilroy directs as if there were limits to his imagination. The movie’s dead from the neck up, because of an invisible border of good taste. While some of the horror elements are indeed creative (like Morf hearing voices in a cabin art installation), others leave you shrugging shoulders. “Velvet Buzzsaw” never embraces the full potential of its own creepiness. It’s not an in-depth satire that criticizes the modern world of art, but neither is a frightening blood-chiller. Even though “Velvet Buzzsaw” isn’t quite what I might have expected, by no means is it a bad movie. The cast oozes confidence, with Jake Gyllenhaal being in his elements and Rene Russo’s sharp, tough character as his counterweight. Marco Beltrami’s soundtrack masterfully changes too, from jazzy lounge music to electronic, dark ambience. And, even if I feel unsure about Gilroy’s intentions, he’s talented enough to glue you to the screen whatsoever. There’s just something missing – maybe the sheer brilliance that the director exposed in “Nightcrawler”. Check out other reviews here. “Velvet Buzzsaw” is available on Netflix.